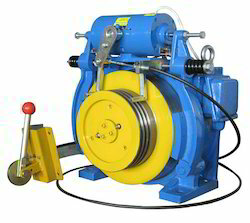 Manufacturer & Wholesaler of Traction Elevators. Our product range also comprises of Standard Passenger Elevators, Single Phase Home Elevators and Hydraulic Lifts. For several years, we are indulged in offering Traction Elevators. Our dedicated technical experts manufacture these elevators with the aid of progressive techniques by utilizing supreme grade components in line with set quality standards. 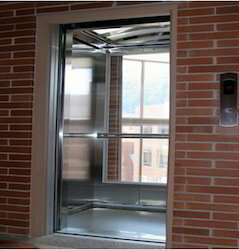 Offered elevators are suited best for carrying heavy loads at industries, public places and construction sites. Further, we offer these lifts at nominal rates to the customers. We are recognized as the leading firms, indulged in offering a wide assortment of Traction Elevators. The provided elevators are extensively used in industries, construction sites and garages for lifting various goods. The offered elevators are manufactured by utilizing top grade components by our deft crew of professionals. Moreover, our esteemed patrons can get these elevators at feasible prices. Looking for Traction Elevators ?